At least six people were killed and other 39 injured after a car bomb explosion has hit a police headquarters in south-eastern Turkey, officials say. Five civilians including a baby were among the dead. Rescuers searched the rubble for survivors at the scene in Cinar district, Diyarbakir province. Turkish officials blamed the blast on Kurdistan Worker’s Party (PKK) militants, who are active in the mainly Kurdish province. The bomb was detonated at the entrance of the Cinar district police complex, officials say. The attackers then reportedly fired rockets at the headquarters. The explosion damaged nearby residential buildings, where a mother and her 5-month-old baby were killed. A girl aged one and a 5-year-old boy also died when a house collapsed. Another police station, in Midyat town, in neighboring Mardin province, was also attacked by militants, according to Turkish media, but there are no reports of casualties. A ceasefire between the army and the PKK collapsed in July. 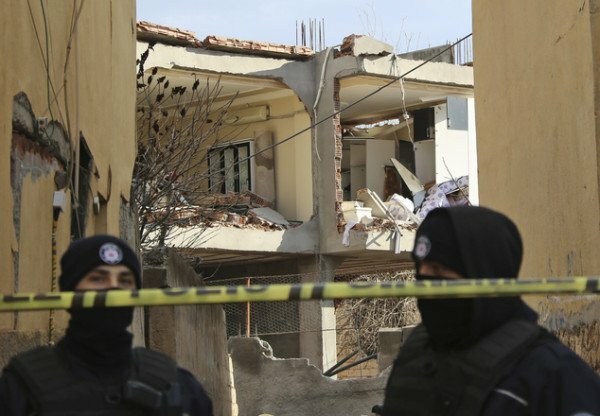 A curfew was imposed on Diyarbakir and several other towns and cities as part of a security crackdown after PKK attacks in the east that left 16 soldiers and 14 police officers dead. There have been repeated clashes between PKK separatists and the Turkish army in recent months, but the violence has escalated in the past week. Civilians have been caught up in the clashes in the towns of Cizre and Silopi, close to the borders with Syria and Iraq. Since August 2015, human rights activists say 170 civilians have lost their lives in areas under curfew. More than 1,100 Turkish and foreign academics have signed a petition calling for an end to Turkish military operations in the south-east, drawing criticism from President Recep Tayyip Erdogan. Speaking after a suicide bombing in Istanbul blamed on ISIS jihadists, in which ten German tourists were killed, Recep Tayyip Erdogan said the government drew no distinction between terror groups, whatever their name. The hashtag #1128katil (1,128 killers) was trending in Turkey on January 14, particularly among government and nationalist supporters, apparently in reference to the academics. Prime Minister Ahmet Davutoglu condemned the overnight bomb attack and echoed the president’s criticism of the petition. Turkish jets have bombed PKK bases in northern Iraq and the army launched a ground operation there. Turkey is also part of a US-led coalition that has been carrying out air strikes against ISIS militants in Iraq and Syria. However, Ankara has been accused of hitting mostly PKK targets, angering Kurds who are themselves fighting ISIS in the two countries.